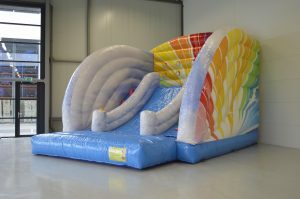 Our inflatables are so much fun, it seems a shame to leave them in one place, so we now offer equipment hire. 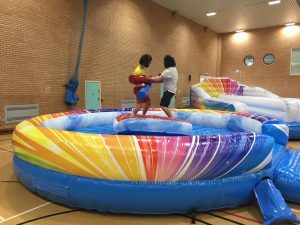 Most of our inflatables are available to hire, so please contact us to find out how to book. Below are details and prices of equipment is available for hire. 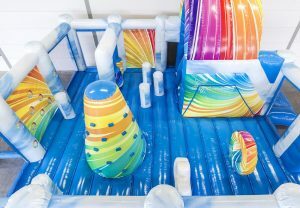 Cloud 9 inflatables are not your typical inflatables! 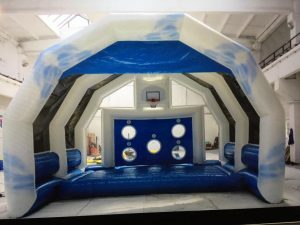 The equipment is of exceptional quality and all bespoke designed to ensure the most fun. 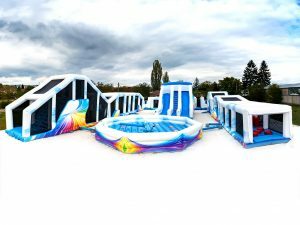 It has also been built for adults and kids. The information below is based on a 5 hour day, and a staff member per piece of equipment. Discounts are available for the more equipment you hire and also for charities. 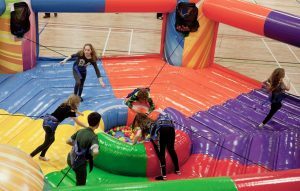 Our giant obstacle course is a massive 70 metres (300feet) long. However it comes in 5 separate sections and also has 2 sections that allow you to turn it 90 degrees (these are only £70/day). You are free to choose as many of the sections as you like. All sections are 4m wide. 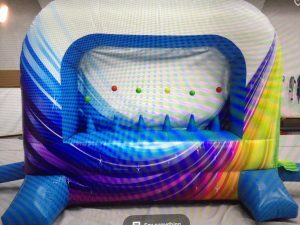 Our bouncy castle is not like your normal bouncy castle. 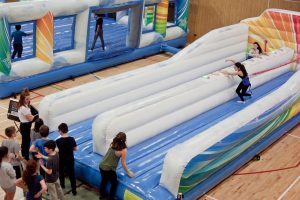 It is new, massive (10x10m), and has everything you could hope for including a dual slide, climbing pyramid, and lots more obstacles to jump through, bash into or climb over. 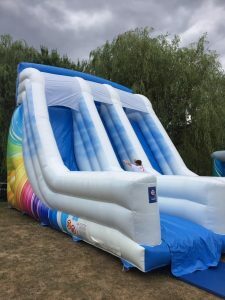 Our giant slide is very big (9m long, 6m high, 6m wide) and has the added thrill of dual slides, including 1 which is extremely steep (a drop slide). 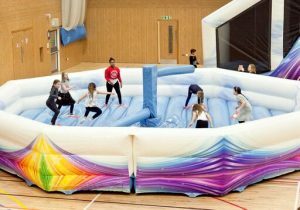 Our gladiator duel is 6m in diameter and comes with all accessories including helmets & duelling poles. 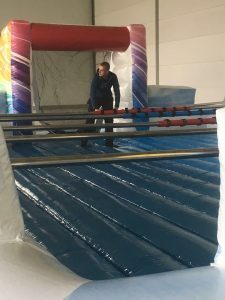 The is not only new, 10m long & 4m wide, but unlike most bungee-runs the best thing is this comes with an incredibly fun interactive play system, including 3 awesome 45 second games that makes this one of the most fun inflatables available. You can see it in action on our website —> look at the video in the About Us section and the picture gallery. 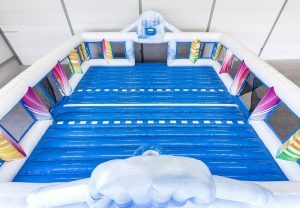 It’s massive (12m long x 7m wide), and unlike a lot of competitions it also has an inflatable base. Amazing fun for 12 people at a time. Our most popular item and includes a person/controller to ensure maximum fun. A fantastic game for 2 people or 2 teams of people. Hit your base button at the bottom of the staircase then race up the stairs to hit your colour button on the wall, then down the slide and hit base button again and back up the stairs again to hit your colour button again and again. See how many points you can score in 45 seconds.